In today's time there should be no reservation policy throughout the country. This type of caste discrimination is making India weaker and weaker. Government thinks that this reservation is good but it is not. Now days it is acting as curse on people of India. There are very less number of general category students in government jobs. Reservation on the basis of caste is the big reason for the increasing poverty. There are so many SC category people who are very rich and still taking the benefit of reservation. Reservation is CORRUPTION done to general category students by the ministers to fill their vote banks. They think if they remove this caste based reservation then they will lost votes from the categories who were reserved. This is the only reason that why reservation policy didn't came to end. It is very difficult to bring reservation to end. But nothing is impossible. We can do anything with our willpower, strong determination and our genius minds. The only thing is UNITY. 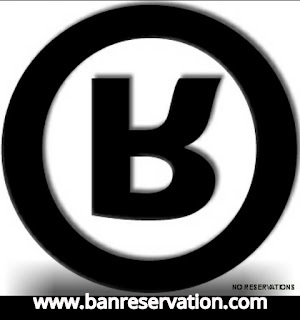 It plays a big role in bringing the reservation policy to end.A single person can't do any thing. We all have to raise voice against caste based discrimination and demand for reservation free India. According to statement of HDR minister Smriti Irani on december 21, 2015, -63 students had failed in various Indians Institutions of Technology or IITs in the academic session 2014-2015. When I read the statistics I was shocked taht out of 63 students failed, only 8 belonged to general category, rest were all from reserved i.e. 9 from OBC, 30 from SC, 16 from ST. Students belonging to reserved categories are highly favored in the entrance examination even with very less marks than the general category candidates. They fail in the academic examinations due to equality of checking of answer-sheets. Had equal merits were considered for admissions. Then only the creamier students would have been selected. This is one of the precedents of scrapping this unfair practice bod en educational and professional fields. I believe that there should no more reservation done on the basis of caste. This reservation policy is only dividing us and creating inequality.